Some more Shabby Chic for you today and this one is a follow on from my Shabby Chic make from last Saturday that I did for Quixotic Paperie. 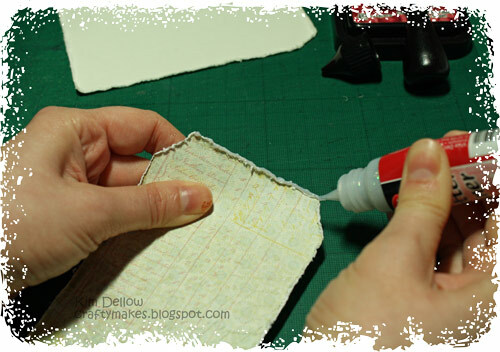 It is a little Shabby Chic New Home Tag and I thought I would share some of the making process with you today. 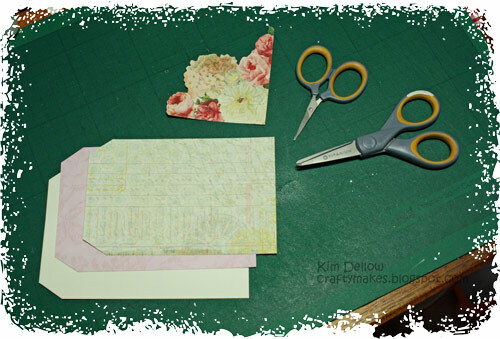 Paper and card – Cream card, designer papers Pink Paislee Sweetness pad is perfect as it has some lovely Shabby Chic colours and the big flowers to cut out. Layers, Layers, Layers! I want to matt and layer my tag so I cut out three sizes of tags with the cream card as the background and then the designer papers getting progressively smaller but only by a few millimetres. 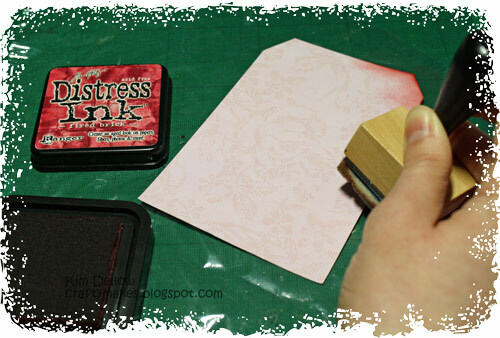 I’ve also cut out one of the lovely flower patterns from the Pink Paislee Sweetness pad, so pretty! Inky Fingers! I wanted to slightly darken the pink layer as it wasn’t quite the colour I wanted so used my blending tool and distress inks to roughly intensify the colour. If you haven’t got a blending tool or even some of the Rangers foam, don’t worry – dig out a clean make-up sponge! Oooo Shiny! 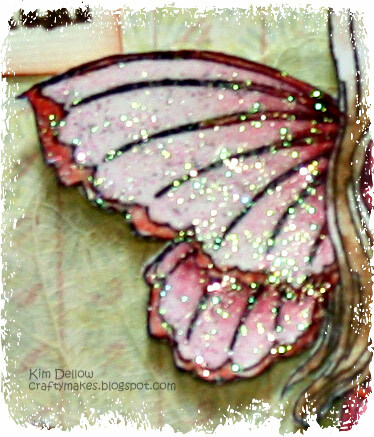 Glitter time is here again and I’ve used the Viva Decor Glitter Liner Holo-Iridescent on all of the card and paper edges to add more Shabby Chic sparkle. 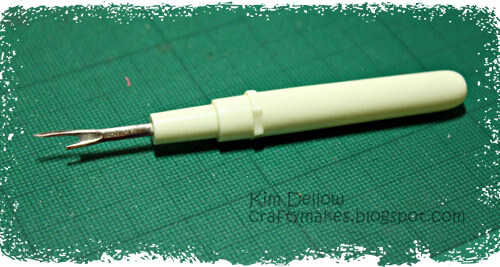 This step takes a little patience but it is worth it! 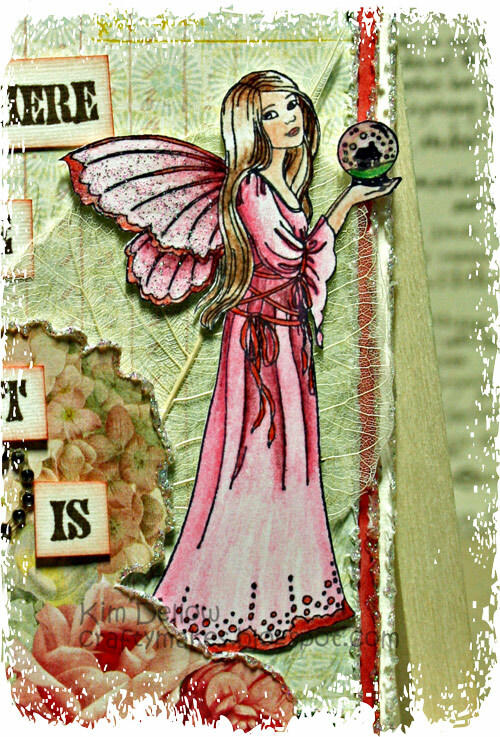 Ok so everything is dry, you have coloured your image and stamped out the sentiment so all you need to do is stick it all together and add your gems and extras! Quick – Shiny distraction alert! This is simply stunning. Gorgeous colours and image. Totally GORGEOUS tag Kim, and thanks for the tutorial!!! 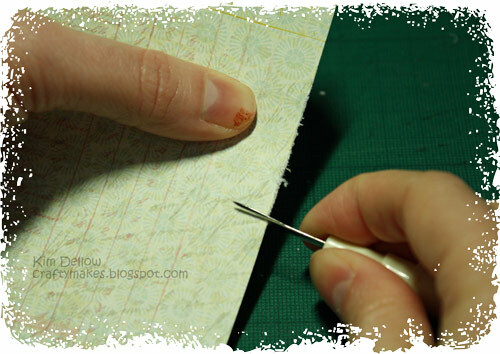 Thank you for sharing this Kim – the tag is beautiful…wouldn't have thought of using my seam ripper for distressing – must hunt it out. What a beautiful tag Kim! Thank you for the turorial! 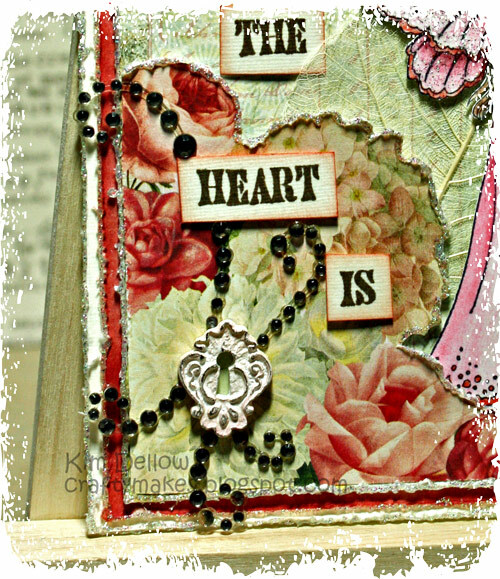 wow this is gorgeous kim.i love the distressing and great image and sparkle. Kim you are just so talented, thanks for sharing! 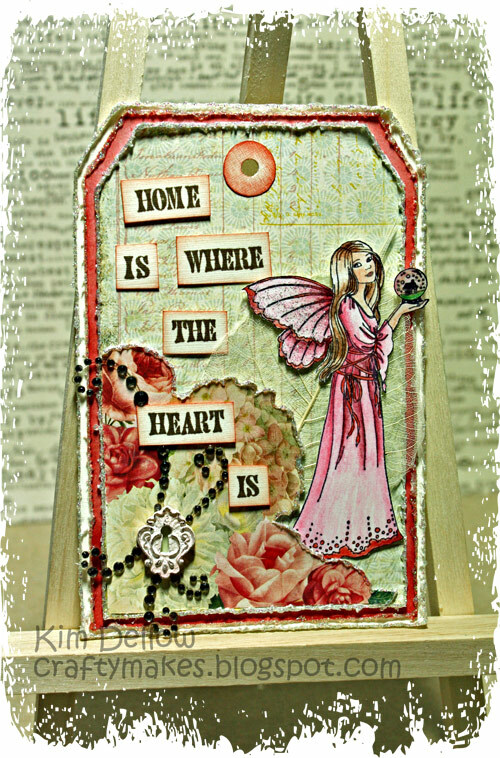 I have a tag challenge on my blog if you are interested? Would love to see an Easter entry in your style.